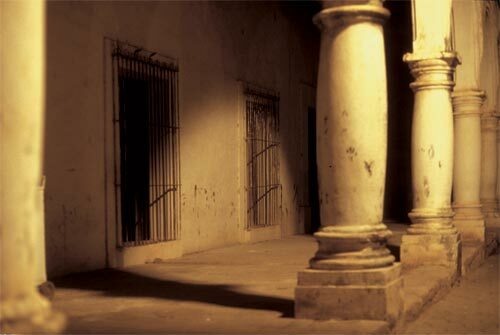 Light and shadow, substance and form, history and echos, spirits and ghosts. 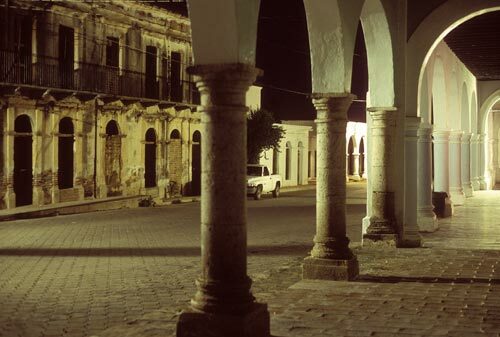 Calle Comercio on a summer midnight, 1996. Even spirits must sleep. If that police pickup truck, parked across the street from the Police station, wasn’t there then where could we be, and when? The answer is Alamos, Sonora, Mexico circa both 1800 and 2011. This is a portrait of power. At the western end, the cobblestones leads one up the steps and into the Cathedral’s side doors. Down the block to the east, the Governor and Bishop mansions were, and are, across the street from one another. Thousands of miles to the east is Spain, thousands of miles to the west is China and at one time they were both here, and today their DNA marches on. There is no mistaking this for the past. Modern lines, modern times. 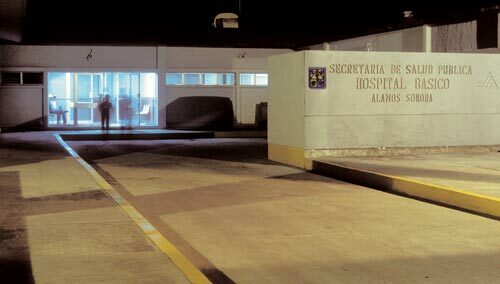 On the way into Alamos Centro a regional – basic care hospital is setback on the right. At night, this scene could be an emergency room anywhere in the world. I had need to visit after one long difficult day into night. The doctors were here in Alamos for one year’s mandatory service, a bridge between medical school and where they would go to make their livings. That night, my doctor came from outside Guadalajara and hoped he would be going to Tijuana, to be on the frontier of modern Mexico. I was impressed by how he looked me in the eyes, how he touched and probed, and by the questions he asked and how he listened and responded to my answers. He was in the moment, and the moment was all about bringing me comfort. It was not about profit or loss. It was about me. X-rays were needed to evaluate what was happening in my chest. Alas, their x-ray machine was down for repairs. He gave me a shot to reduce my discomfort and asked me to bring him back chest x-rays. He had done all he could do. The morning began meeting the Police chief in his office, at his request, and ended up on a midnight taxi cab ride to Navajoa in search of x-rays. And this day will be another of the twelve Alamos short stories I am preparing to write. Tis the Season of Love and Jackets. Christmas in the Plaza de Las Armas is a time of of sharing and joy. Food, fireworks and the town coming out to be seen and see is what community is all about. Oh little town of Alamos. Lights sparkle in the evening darkness. Pungent smells float with the shifting breeze. Music, live and recorded, rises up from the homes and neighborhoods. Birds sing under star filled skies. Dogs bark and cars pass by. Footsteps on cobblestone and smoke from fireplaces create mystic moments. Children of all ages play late into the night on the quiet streets. Night time is not threatening, it is a celebration of another day both coming and going. Night time is magical. The town seems smaller. The world becomes all you can see looking down a street. It is easy to focus on the smallest thing. And behind the walls there are other worlds: private legacies, conversations., comforts, learnings, entertainments, deliberations, dreams. It is a wonderful feeling to sit with a friend in the plaza on a pleasant evening. Here, one can watch people come, be and go. 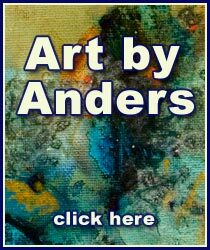 This is the a place to be seen and see. When all have come and gone it becomes a romantic refuge for a young couple. Imagine horse drawn carriages, burro pack trains, and cars that have come into Alamos along these streets. Imagine the families that have been here for centuries. Imagine the change of government, some peaceful some violent. It is all here in the shadows of night. Photos and editing by Anders Tomlinson. Music from “Camino Songs” by SonicAtomics. This page took 0.422 seconds of computer labor to produce.